In 10 years, I’ve played four different sets of irons. Two of those sets I only switched because of the 2010 groove rule. For several years, I played Hogan Apex Plus irons; I still have them in the garage and get them out on occasion. They are positively the best irons I’ve ever hit. I’ve also played the Nike VR Forged Pro Combo and the Titleist 690 CB, which are both tied for a very close second. The fourth set would be the Bridgestone J33 CB irons that were played by Freddy Couples, Matt Kuchar, and Davis Love III in the mid-2000s. I played these irons longer than any others, and the aforementioned Hogan’s just narrowly unseated them. I’m sad that I don’t still have them around. If you’re accustomed to playing forged irons, it means you’re likely picky about finding the right ones when it’s time to upgrade. You’re searching for the right feel or the right sound or the right head weight. The interesting thing about the irons I mentioned above? They were all forged at the famed Endo Forging House in Japan, though many years apart. 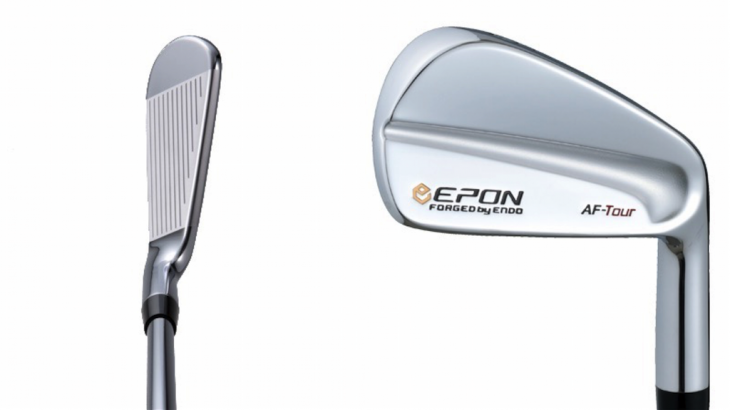 If you’re a casual golfer, you may not have heard of Endo… or its house brand, Epon. Prior to researching this piece, I wasn’t all that familiar with them either. Within five minutes of talking on the phone with Dustin Vaughn, however, I learned the forging house had produced all of my favorite irons. Vaughn works for a company called Swing Science, and he’s the Epon distribution manager for all of North America. “What makes Epon interesting is that when you ask a player what their favorite clubs are, or the clubs they’ve hit that feel the best, they almost alway name a club that was forged at Endo. And with Epon, we can take the process to the next level,” Vaughn said. I would hear this theme strung throughout our conversation as well as my conversation with Jeff Sheets, who was the lead designer for the Hogan Apex Plus irons back in the day (again, my favorite). The idea is that Epon, because it’s a house brand, can (and does) spend as much time on their product as they need to in order to make it the best they have ever released, and that’s their only restriction. Over the years, Endo has forged many irons for OEMs. Aside from the aforementioned ones, here are a few others: Mizuno JPX-800 AD and JPX-825, Fourteen TC-606, TC-777, and TC-1000, Nike VR, VR_S, VR Forged and SQ Forged, Titleist 690 MB and VG3. In terms of woods, Epon has forged the Mizuno MP Craft 425 and H4, Nike VR Pro, VR_S, and SQ2 (which is my favorite 3-wood ever, man, I wish I still had it). When you look at those models, they may not seem like they are the best-selling clubs of all time (though the JPX-800s did well), but they all have a sort of cult following, which is exactly how Epon is viewed, and the company likes it that way. In the world of iron forging, the process has improved significantly over the course of the last half-century. In the 1970s, a foundry was able to forge a club head to within about 40-60 grams of the desired head weight for the finished product. The extra weight would then have to be ground off by the hands of a highly skilled craftsman, but as with anything, it’s impossible to be perfect every single time. In today’s world, Endo is able to forge an iron head within 10 grams of the desired weight of the finished club head for any company that asks them to forge an iron. That produces a much more consistent product, because there is less room for error on the grinding and polishing part of the process. With its house brand, Epon, the company can take it even further. Epon’s latest line of clubs includes the AF-Tour (traditional blade), AF-Tour CB, AF-303, AF-503, and the AF-705. The AF-Tour looks as good as any club you could imagine; it has a thin top-line, little-to-no offset, and the lofts are very traditional (the 7-iron loft is 36 degrees). Their tagline for the AF-Tour is, “If you’ve got to ask if you’re good enough to play this club, then you likely aren’t.” That statement sums up how I felt about it as well. The top line is both something to behold and something to fear. Yet Epon has also managed to do something I’ve never seen before. In its AF-705, which is Epon’s “super game-improvement” iron, the company has managed to have a very thin top-line as well as less offset, yet still have the irons perform like S-GI clubs. It’s also forged from the same S20C carbon steel as the AF-Tour, which means it’s designed to feel like butter but perform like a hybrid iron. I typically balk at a 7-iron with 29 degrees of loft, but the look of the AF-705 reminds me of my old Hogans. With Epon, just as with other super-premium golf equipment manufacturers like Miura or Fourteen or Vega, the discussion always comes back to price, and maybe rightfully so. 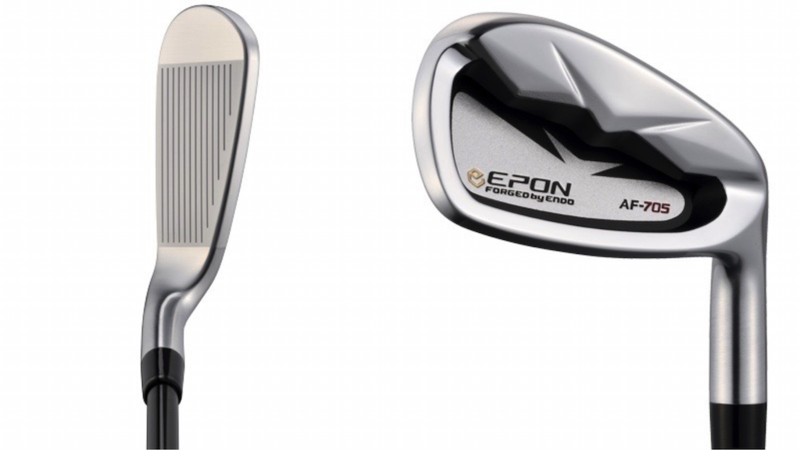 A set of Epon irons is going to set you back almost $2,400, which is basically double what other OEMs charge for their “premium” players irons. And the question that always comes up is, “Are these irons really $1,200 better than the Titleists or Mizunos I can buy off the shelf?” That’s entirely up to you. All I can tell you is what Epon offers, and that is a totally customized fitting experience (you can’t buy Epon off the shelf) for your irons, fairway woods, or whatever Epon product you buy. You will also get a clubhead that has been inspected by hand as it came off the forging line, and you’re getting a club made by the forging house that forged the four best irons I’ve ever held in my hand, all from different brands. If Endo can create that consistency among OEMs, all with different specs, it seems to me that their house brand can only be something I’d likely fall in love with. At $2,400 per set, I’m just not sure I’m willing to get divorced over it. Interesting in hitting an Epon? Find an Epon fitter near you.